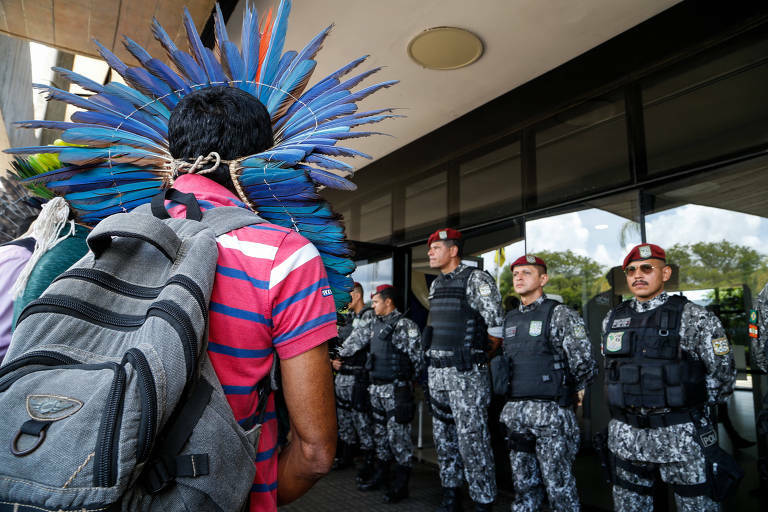 Six in every 10 Brazilians oppose reducing the area destined to indigenous reservations in the Amazon. The topic is back into the public discussion since January 1st, when president Jair Bolsonaro transferred land assignments from Funai, the Brazilian federal agency for indigenous affairs, to the Ministry of Agriculture. The number comes from a Datafolha poll that interviewed 2,077 in 130 towns between December 18th and 19th, 2018. The margin of error is two points above or below, considering a confidence interval of 95%. The survey found out that older Brazilians with higher levels of schooling have a higher tendency of agreeing with Bolsonaro's policy of reducing the size of reservations. It's a controversial topic because the department move transferred all the responsibility of identifying, delimiting and demarcating land portion to indigenous tribes to government officials linked to agribusiness interests. The secretariat of land affairs, a newly created agency with the Ministry of Agriculture, is led by Nabhan Garcia, former leader of an association of rural landowners. Garcia says that the department will "impartially review" all indigenous lands boundaries set in the last ten years, and the government can nullify land grants to indigenous peoples if it finds any flaws in the grant procedures. Brazil currently has 721 indigenous reservations, in different stages of demarcations. Combined, they amount to 13.8% of the Brazilian territory.